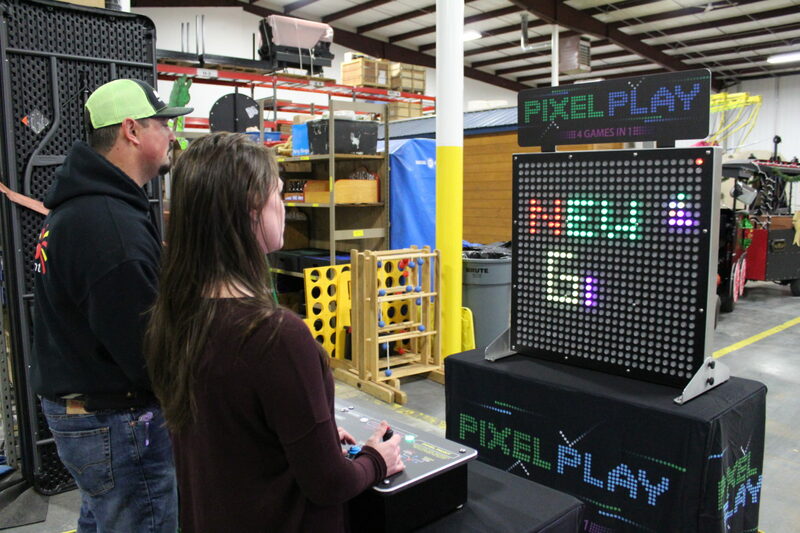 Pixel Play packs a punch with it’s 4 games in 1 system! 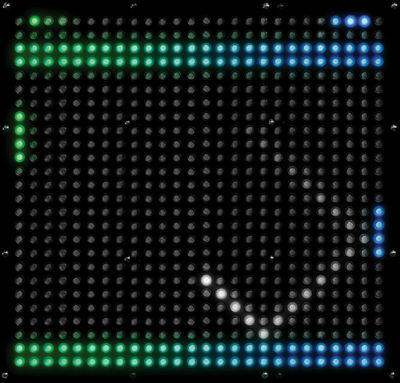 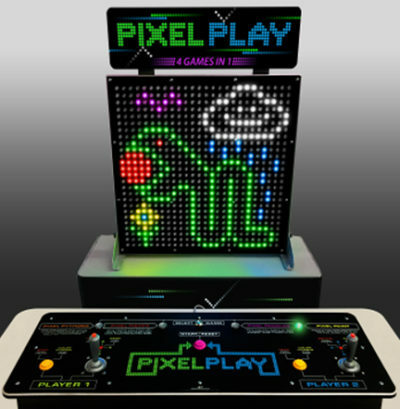 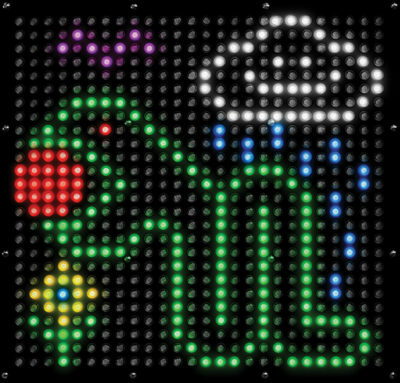 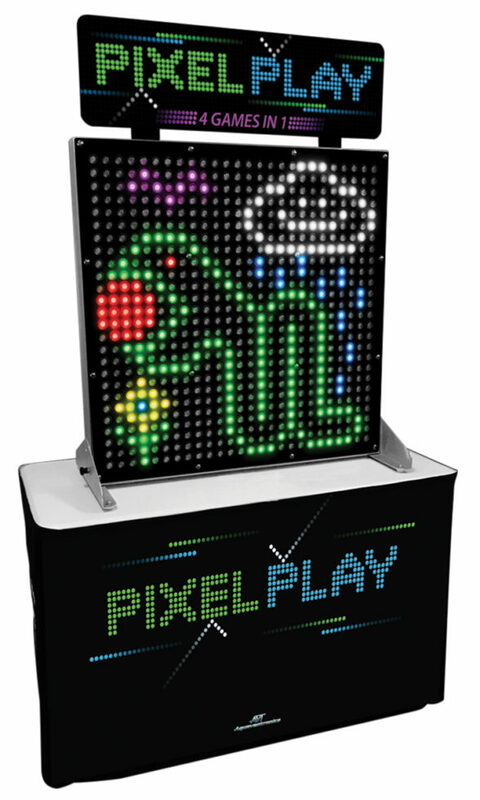 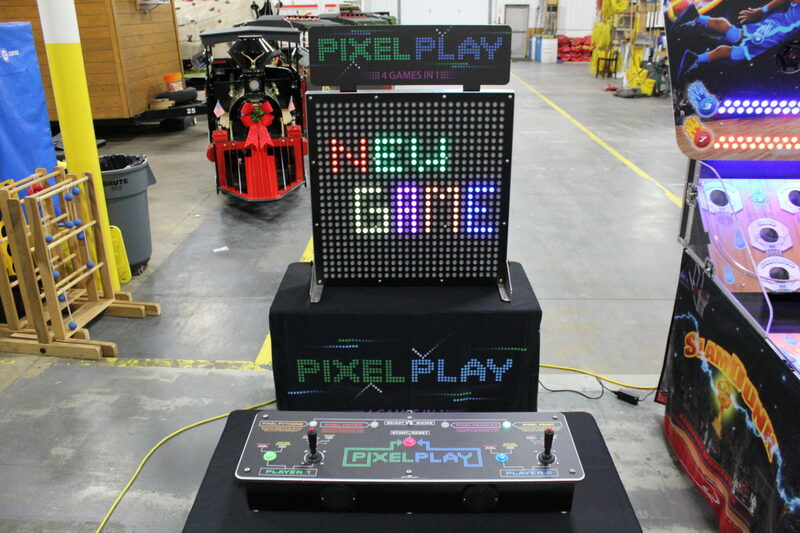 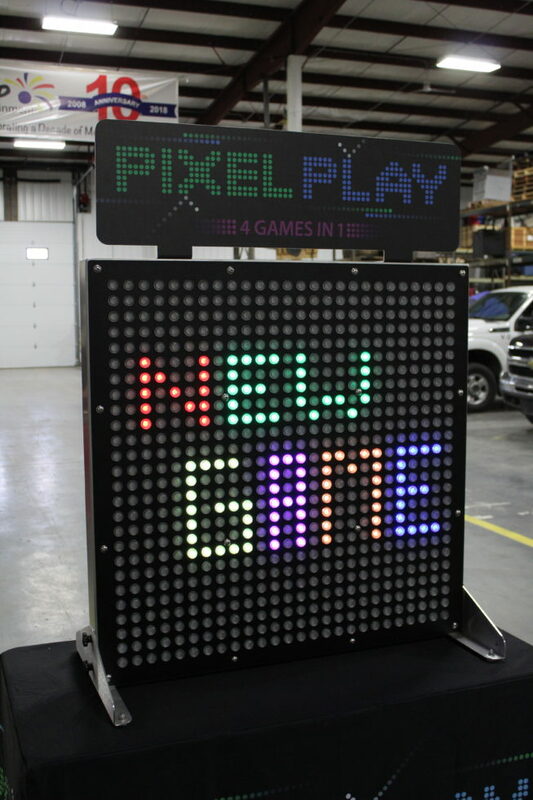 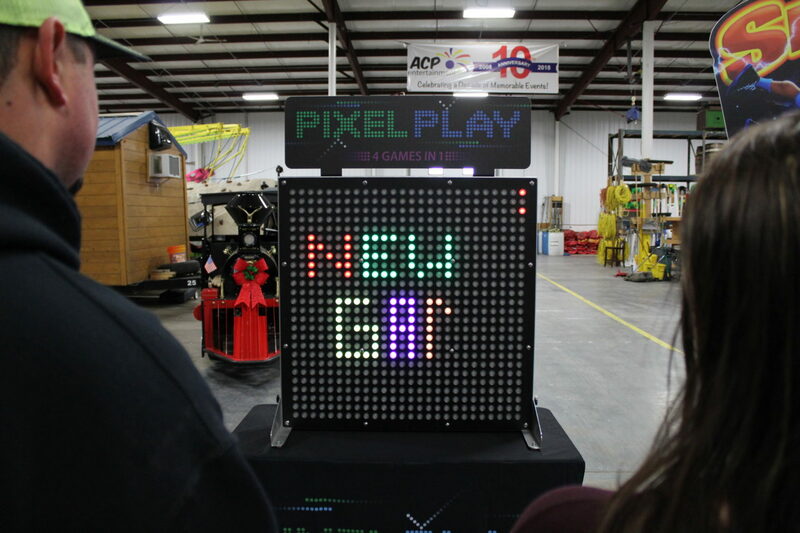 This 2 player game system has the ability to play Pixel Python (Snake), Pixel Paddles (Pong), Pixel Pieces (Tetris) and Pixel Paint which allows players to create drawings on the Pixel Play board. 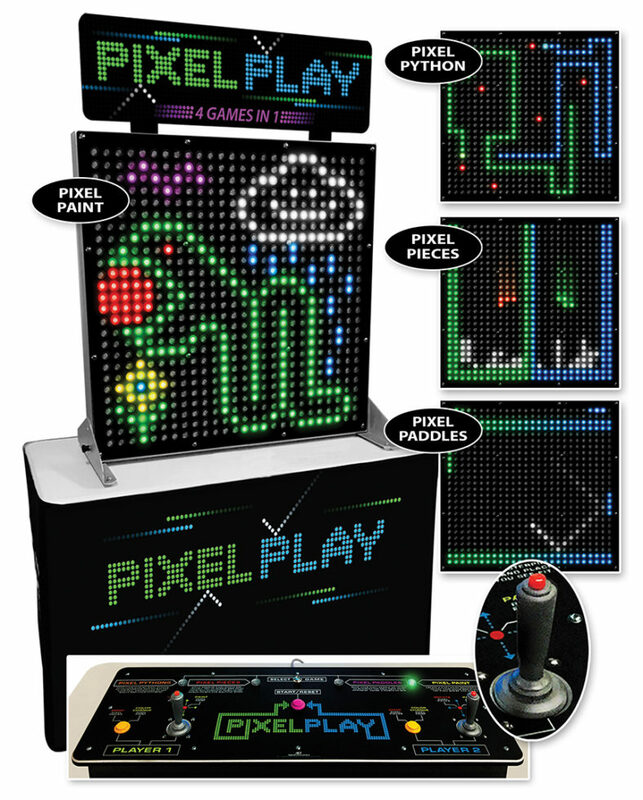 This game is perfect for almost any event and is good for any age! 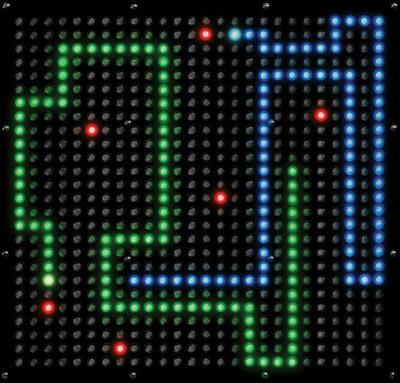 Having an 80’s themed party? 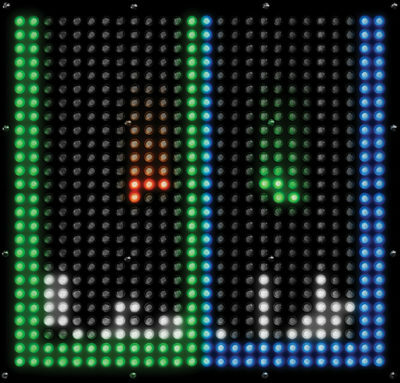 This is the perfect match with the 80’s type themed games! 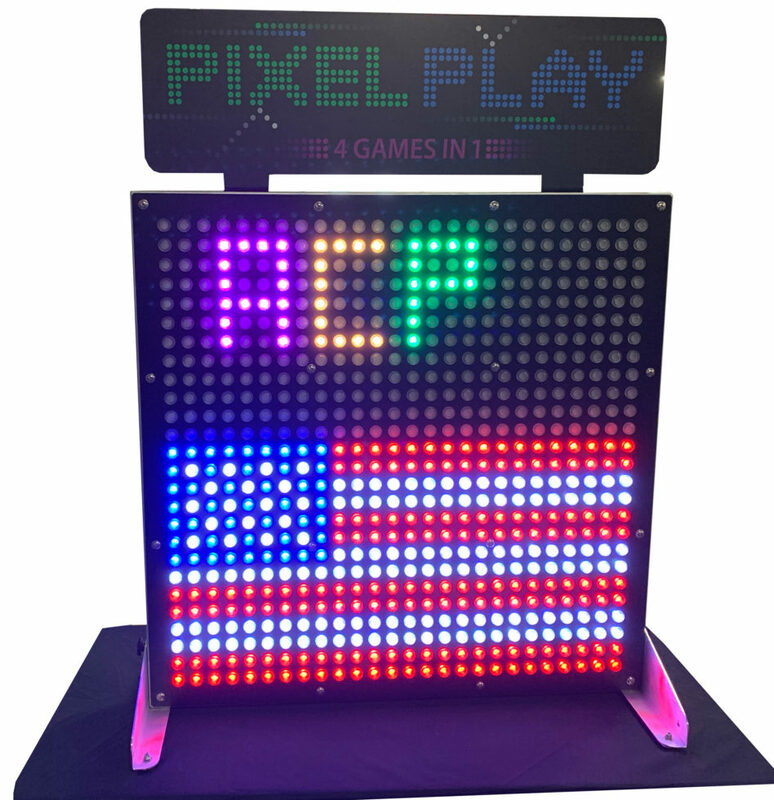 Price Call for a Quote!